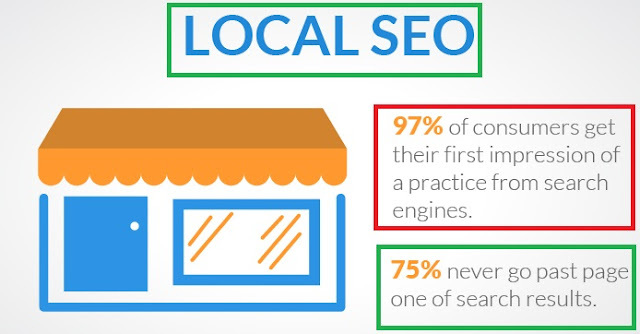 Why You Need to Explore Local SEO Opportunities. Virtually every local company, no matter where your bricks-and-mortar business is located, can boost traffic and sales by implementing local SEO (search engine optimization) techniques into their marketing campaign. Read on to find how exactly what local SEO is and how it can help your business reach the next level. At the base level, local SEO is the collective term for the ways in which a website owner can get that site noticed by potential customers in their local rea. By getting their business ranked on the search engines for keywords that include the geographic location, for example, targeted traffic can be driven to the site. Millions of internet users go online every day looking for local businesses in their area. If you want your site to be among those they find in their search, local SEO is the best way to ensure your business is present and accounted for. Through local SEO, you can position your business on the search engines so that you get in front of the eyes of targeted, motivated buyers in your area. Local searches are highly targeted, and so is local SEO. The primary reason people conduct a local search is to find a specific business, but the second-most common reason is to find a product or service located in a specific geographic area. In other words, many internet searchers don’t have a specific business in mind when they go online to search; they are simply looking for a particular type of business, with the emphasis being on where the business is – their local area. By using local SEO methods, you can position your business to those motivated searchers who are looking for a business like yours in your neck of the woods. When you connect with a customer who already has a need you can fill, you are already well ahead of the game. Local directories take up the valuable search engine real estate. In other words, if you can get your business listed in a local directory, your business will show up first on the search engine results pages for local searches for your type of business. That results in a higher conversion rate and more sales for your business. In some cases, your conversion rate may be as high as 50 percent, which equates to 1 of every 2 customers who visit your website actually becoming a buying customer. Local SEO allows you to harness the power of mobile marketing. Virtually every adult between the ages of 20 and 60 has a cell phone these days, and most of them have their phones on them at all times. When they are looking for a local business, most of the time they are doing so from their phones, on the go. By using local SEO methods, you can grab the attention of these mobile web searchers so they choose you over your competition.